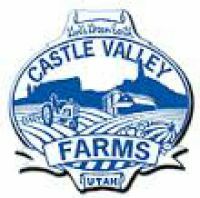 Shawn started at Castle Valley Farms in July 2014 and has since been busy coordinating the farm. Shawn was born in Kansas and raised mostly in Nebraska as the son of a roofer. He became interested in agriculture and horticulture in high school and has since worked in a landscape nursery, four or five wholesale propagation nurseries, two university extension stations (tree fruit and greenhouse), managed a high density apple orchard, and most recently consulted on soil mineral balance and how it relates to God's creation expressing what it is capable of expressing. Shawn, Chelsea, Malachi (8), and Sarah (5) are happy to be here in Castle Valley! Raymond comes to us from the lush Portland, OR area to learn agriculture and take it to the mission field of Micronesian Islands. Raymond has been teaching before coming to DayStar Adventist Academy and will continue educating many years to come. We use the farm as a vehicle providing lifelong lessons for our DayStar Adventist Academy students. The farm is an object lesson, providing the instruction for the teachers that train side-by-side with the students in a tangible setting. Tommy comes to us with quite a bit of experience in videography and a definite interest in making nutritious food to make healthy bodies. Talk to him with all your kimchi questions! There is hardly a place Jedediah hasn't been growing food and where he doesn't know someone. Jedediah is about the friendliest person you'll ever meet and so get to know him!